Becoming a landlord is something that a lot of people are simply falling into in current times – the ‘accidental landlord’ is on the rise due to people being unable to sell their homes and deciding that letting them out is a better option. But letting a property isn’t all about getting someone in and making a profit, there are many factors that will influence your experience of being a landlord, and as with any other project, it’s best to make yourself aware of what could go wrong before you make that leap into letting out a property. It pays to think carefully about where you advertise. 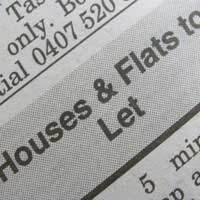 Research the publications that carry adverts for ‘homes to rent’ and decide which sort of publication or website your ideal tenant is likely to read. An ad in the post office may be cheap but will it attract the sort of person you want in your property? You could end up with a tenant who lets you down with the rent payments if you don’t carry out all of the security checks on a tenant before you let them into the property. Credit checks and a reference from a previous landlord are essential. If the tenant hasn’t rented before, ask for an employer’s reference instead. You need to know that your prospective tenant is able to pay the rent. There are a lot of things you need to do legally if you take on a tenant, so read up on your obligations before you start. You could also consider joining a professional landlord organisation for help with documents and free legal advice. Make sure that you have the right tenancy agreement – and get it signed before anyone moves in. An assured shorthold tenancy agreement is the standard for residential lettings, and as it’s a legal contract between you and your tenant, you need to get it right. Remember you also need to arrange a tenancy deposit scheme, as you’re legally obliged to keep any deposits you receive in an approved scheme. It’s always best to live near the property you rent unless you pay an agent to manage it for you. You could be getting calls from tenants in the early hours because they have lost their keys or something has gone wrong in the property. You are responsible for maintenance and repairs, so it’s worth having a list of trustworthy trades people to hand that you know you can call on to fix any emergency repairs. You can also take out insurance to cover the cost of these – they can be exorbitant so it’s worth looking into. Even carrying out all the right checks isn’t a guarantee that your tenant will be perfectly well behaved. If you’re faced with a problem tenant, it’s your duty to follow up any complaints that you receive, so issue a warning at the first sign of trouble. Make sure that the property is fully insured with suitable contents cover if the property is let furnished. Again, it’s your responsibility to maintain the furnishings although you are entitled to claim the costs of any damaged furniture from the tenant. Rent arrears are the other obvious problem. Other than the financial checks at the start of the tenancy, the only way to protect yourself is by taking out an insurance policy. Some cover the loss of income from a non paying tenant right up to the date of vacant possession of the property, and are available with add-ons to cover legal costs of any repossession proceedings. Well worth considering in today’s financial climate.If a tenant breaks the terms of their tenancy agreement, you have every right to serve them notice of eviction. Before the tenant leaves, check the property over and make sure that it’s been left as it was when they moved in – everything is clean, in good condition and ready for a new tenant to move in. It’s a good idea to complete an inventory at the start of the tenancy that can be referred back to at the end. If the property is left dirty, or there are damaged items, you are within your rights to deduct the cost of repairs and replacements from the tenant’s deposit before handing it back. I am paying off a mortgage on my house and have put my brother into it he claims housing benefit which is paid into my account. Is this legal?